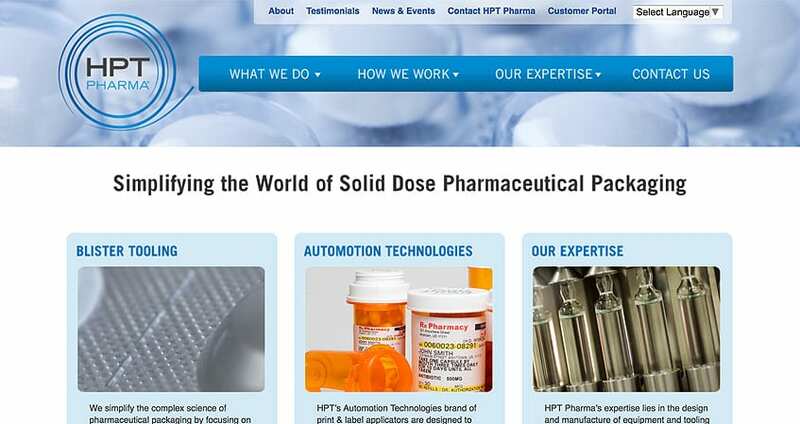 HPT Pharma develops unique workflows and machines for packaging medications and pills for the pharmaceutical industry. 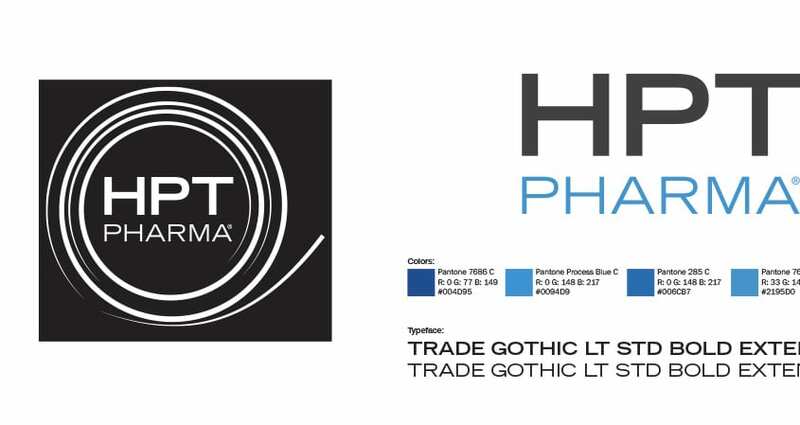 Working along side an agency partner, Brand Llama helped HPT Pharma complete its separation from their parent company with a new brand identity and website. The identity was to be an evolved version of the historical identity, and while honoring the past, should look towards the future. The design of the brand identity was an evolved version of the original logo developed by the parent company. Modern typography and colors bring the new identity a unique position. An identity toolkit was developed to provide guidance of logo usage, placement, color schemes, and typefaces. 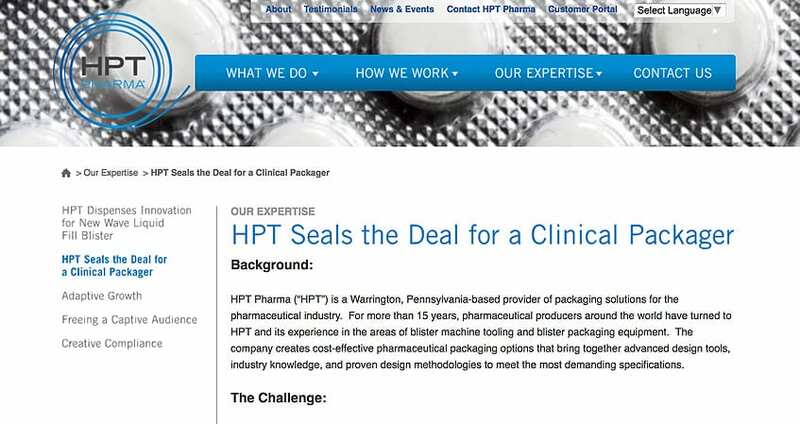 This toolkit helps the HPT Pharma maintain the brand style and apply it to all external communications. The website design utilizes large macro photo of medicinal products packaged by the company, and a two-tier navigational structure for quick browsing. Providing detailed information about the manufacturing capabilities of HPT Pharma is essentail to converting visitors into customers. 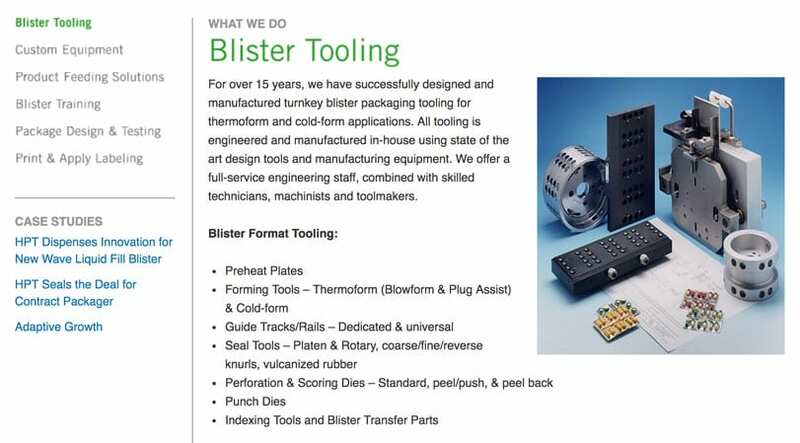 Case studies of successful projects provides the company with a strong story to share, and expertise to showcase.